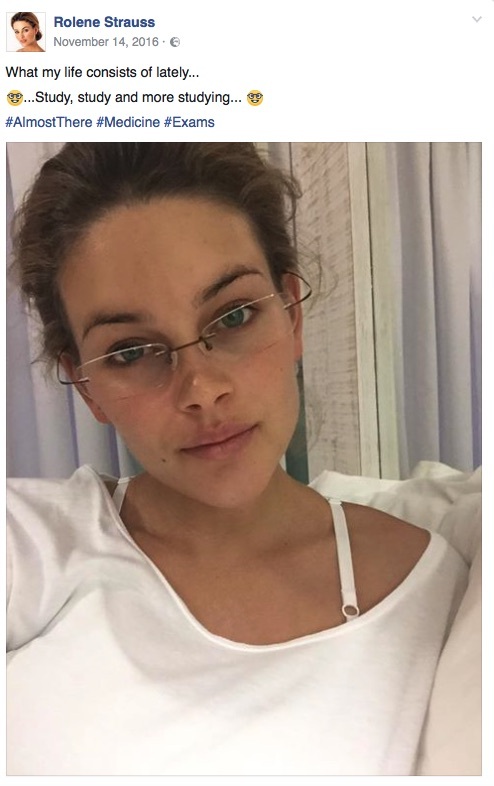 Former Miss South Africa and Miss World Rolene Strauss announced the birth of her son on Sunday. 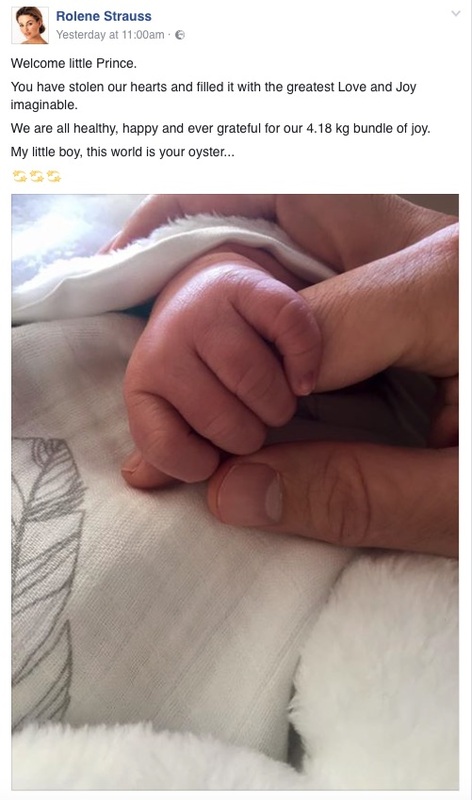 Taking to Facebook, Strauss wrote, “Welcome little Prince. 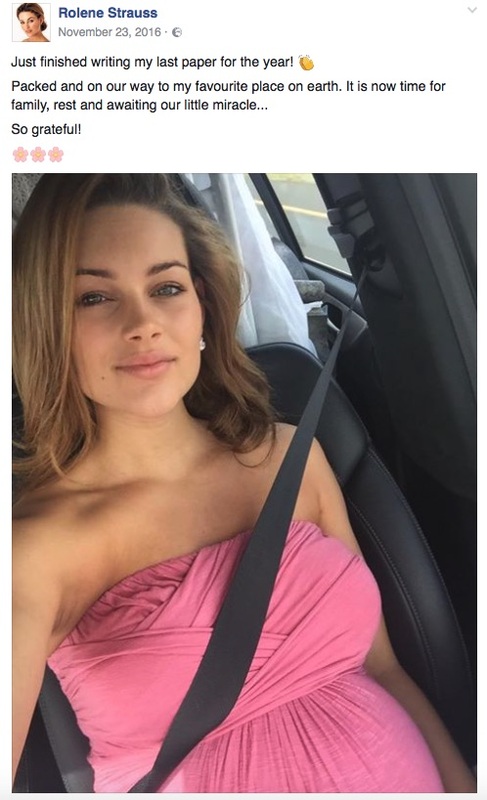 “You have stolen our hearts and filled it with the greatest Love and Joy imaginable. 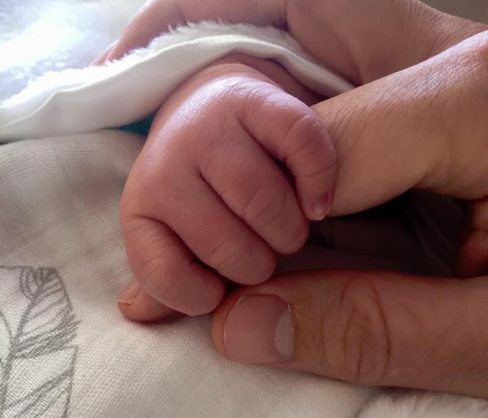 “We are all healthy, happy and ever grateful for our 4.18 kg bundle of joy. 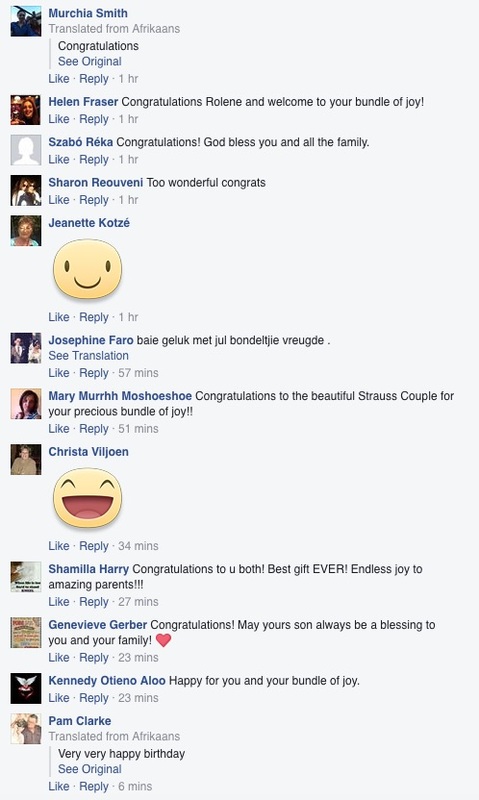 Many well-wishers continue to congratulate Strauss and her husband, D’Niel. 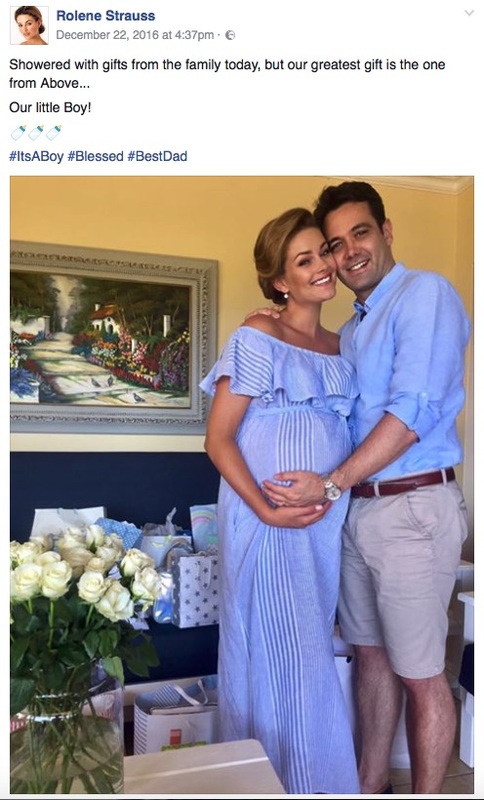 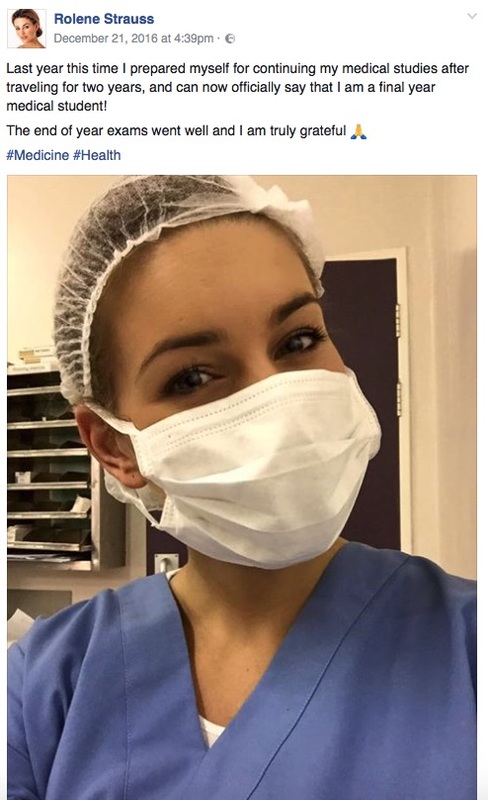 Strauss shared her excitement while awaiting the birth of her baby boy on Facebook throughout her pregnancy. 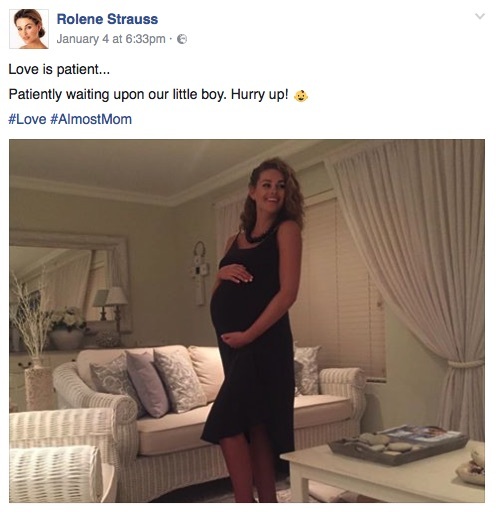 Her most recent post prior to the announcement of his birth stated that she was patiently awaiting the arrival of her little boy.